Oceanside Village Resort features luxurious cottages of varying styles and sizes just a mere 5 minutes from Rathtrevor Provincial Park and steps to endless sandy beaches. Nestled among the trees, our beautiful newly constructed pet friendly 1-2 bedroom cottages with lofts, offer a warm and inviting atmosphere. Each cottage boasts all the amenities of home with fully equipped kitchens of four appliances, washer/dryer, all linens, 2-3 TVs, DVD player, large open concept great room with vaulted ceiling and field stone gas or electric fireplace, front and back decks with patio furniture and BBQ�s to enjoy the serenity and natural beauty of this area. Our on-site amenities include a Salon, Day Spa, Ladies Clothing Boutique, Caf�/Bistro and our Riptide Lagoon Adventure Park featuring two, 18 hole mini golf courses and laser tag bumper cars. On-site, the resort has a Caf�/Bistro, Full Service Day Spa and Hair Salon. After a day of activities, relax in our recreation building which houses our year-round indoor pool, hot tub and exercise room. Next door you�ll find Riptide Lagoon Adventure Park with 2 - 18 hole mini golf courses and laser tag bumper cars. 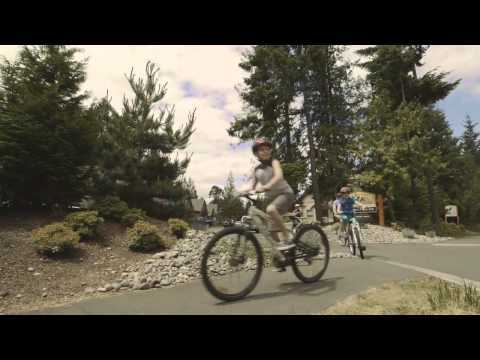 Oceanside Village Resort is within easy walking distance to tidal pools and many biking/hiking trails. 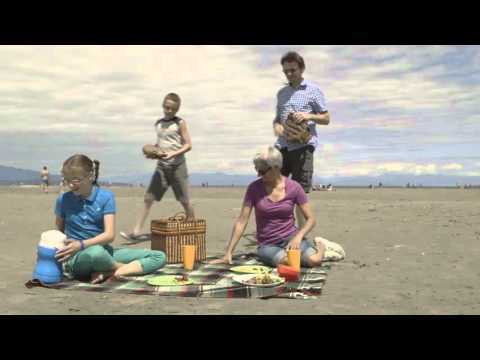 We are conveniently located within a few minutes of downtown Parksville and many great area attractions and activities. Golf one of 6 nearby courses, visit Englishman River Falls, ski Mt. Washington, check out the world famous Coombs Country Market or explore the quaint village of Qualicum Beach, just minutes from Parksville. We are pet friendly year round and offer wheelchair friendly cottages.